We continue the programme of exploring the means of holographically decoding the geometry of spacetime inside a black hole using the gauge/gravity correspondence. To this end, we study the behaviour of certain extremal surfaces (focusing on those relevant for equal-time correlators and entanglement entropy in the dual CFT) in a dynamically evolving asymptotically AdS spacetime, specifically examining how deep such probes reach. To highlight the novel effects of putting the system far out of equilibrium and at finite volume, we consider spherically symmetric Vaidya-AdS, describing black hole formation by gravitational collapse of a null shell, which provides a convenient toy model of a quantum quench in the field theory. Extremal surfaces anchored on the boundary exhibit rather rich behaviour, whose features depend on dimension of both the spacetime and the surface, as well as on the anchoring region. The main common feature is that they reach inside the horizon even in the post-collapse part of the geometry. In 3-dimensional spacetime, we find that for sub-AdS-sized black holes, the entire spacetime is accessible by the restricted class of geodesics whereas in larger black holes a small region near the imploding shell cannot be reached by any boundary-anchored geodesic. In higher dimensions, the deepest reach is attained by geodesics which (despite being asymmetric) connect equal time and antipodal boundary points soon after the collapse; these can attain spacetime regions of arbitrarily high curvature and simultaneously have smallest length. Higher-dimensional surfaces can penetrate the horizon while anchored on the boundary at arbitrarily late times, but are bounded away from the singularity. We also study the details of length or area growth during thermalization. While the area of extremal surfaces increases monotonically, geodesic length is neither monotonic nor continuous. J.M. Maldacena, The Large-N limit of superconformal field theories and supergravity, Adv. Theor. Math. Phys. 2 (1998) 231 [Int. J. Theor. Phys. 38 (1999) 1113] [hep-th/9711200] [INSPIRE]. L. Susskind, Holography in the flat space limit, hep-th/9901079 [INSPIRE]. H. Liu and S.J. 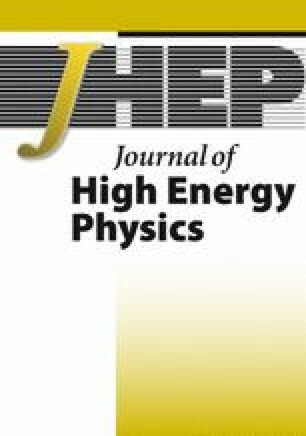 Suh, Entanglement growth during thermalization in holographic systems, arXiv:1311.1200 [INSPIRE]. W. Fischler, S. Kundu and J.F. Pedraza, Entanglement and out-of-equilibrium dynamics in holographic models of de Sitter QFTs, arXiv:1311.5519 [INSPIRE]. S.H. Shenker and D. Stanford, Black holes and the butterfly effect, arXiv:1306.0622 [INSPIRE]. M. Headrick, General properties of holographic entanglement entropy, arXiv:1312.6717 [INSPIRE]. J. Kaplan, Extracting data from behind horizons with the AdS/CFT correspondence, hep-th/0402066 [INSPIRE]. S.H. Shenker and D. Stanford, Multiple Shocks, arXiv:1312.3296 [INSPIRE]. T. Andrade, S. Fischetti, D. Marolf, S.F. Ross and M. Rozali, Entanglement and Correlations near Extremality: CFTs dual to Reissner-Nordström AdS 5, arXiv:1312.2839 [INSPIRE]. N. Engelhardt and A.C. Wall, Extremal Surface Barriers, arXiv:1312.3699 [INSPIRE]. 1.Centre for Particle Theory & Department of Mathematical SciencesScience LaboratoriesDurhamU.K..